Spending the night in one of our wagonettes is a unique experience. 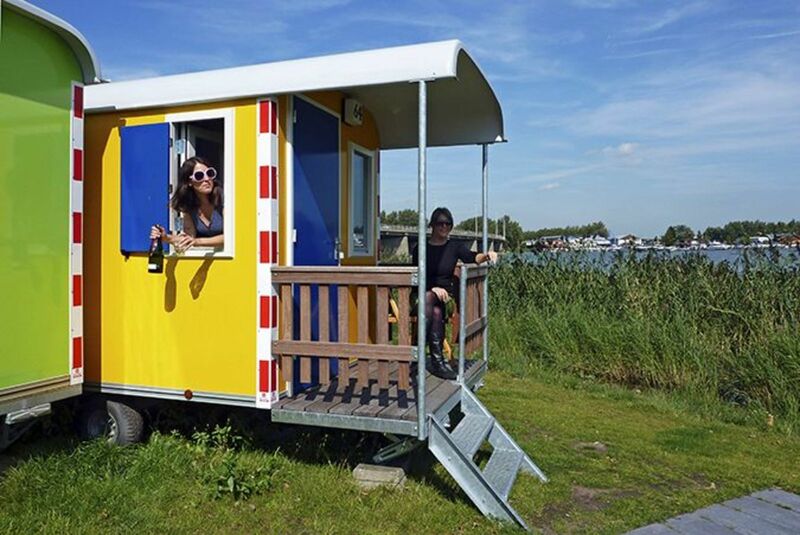 You will only find them at Camping Zeeburg. The cozy two-wheelers are perfect for those who are not bringing a tent and still want to camp outdoors. In total privacy you will enjoy extra comfort with a heater, chairs, free WiFi, and a bedside lamp. Do you want to make it extra romantic? Make sure to book a spot by the water on time.